David Nytra is a relative newcomer to the world of fantasy graphic novels. 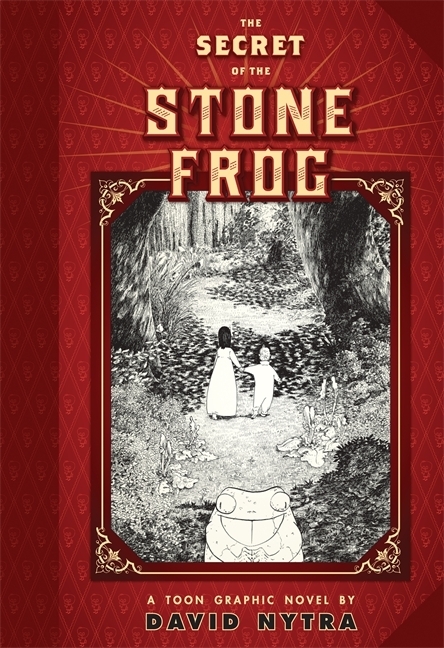 Still The Secret of the Stone Frog, his first work as a writer and illustrator, is drawing a lot of interest from fantasy collectors just prior to its release. “When Leah and Alan awaken in an enchanted forest, they have only each other and their wits to guide them. 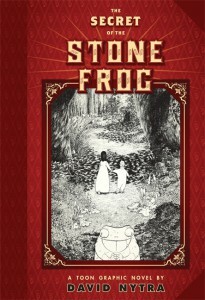 In a world of pet bees and giant rabbits, they befriend foppish lions and stone frogs, learning to confront danger as they find both their own independence and the way home. Newcomer David Nytra’s breathtaking pictures break the boundaries of imagination, sending the reader on a wild flight of fantasy while experiencing the most universal of stories: Growing up.” According to the pre-order site at Amazon, Toon Books will publish this hardcover black & white graphic novel in early September.